Snowy Canada was not always viewed as the first choice by many for pursuing an MS abroad, but it has gained much traction and popularity in recent times, owing to certain geopolitical events and policy shifts in its southern neighbor, the USA, as well as due to a comparatively lower cost of high-quality education and an equally high-quality of life. In fact, in some scenarios, an MS in Canada can be a much sought-after option – especially for applicants interested in pursuing their MS for PR opportunities and global work exposure. Between the years 2008 and 2018 i.e. within just 1 decade, the number of international students in Canada has headed north by about 46.3%. A few Canadian universities, such as the University of Toronto, McGill University and the University of British Columbia, now find pride of place in the list of the world’s top 50 universities, in their own right. However, for research focused Master’s programs, the US is still the best choice as it is a primarily knowledge-oriented country and economy. What makes MS in Canada a popular option NOW? Why this paradigm shift? The rise in the number of students applying to Canadian universities is huge, mainly as the application process is much more student-friendly & responsive, and the cost of living, much lower than that of the USA. Canada is most known for STEM courses in Mechanical, Civil, Electrical, and Computer Science Engineering, as well as programs in Pharmaceutical Studies, Psychology, Forestry, Public health, Human Resources, and Management Studies. Check out our video on MS in Canada. This video will provide you with all the information you seek in under 12 minutes! 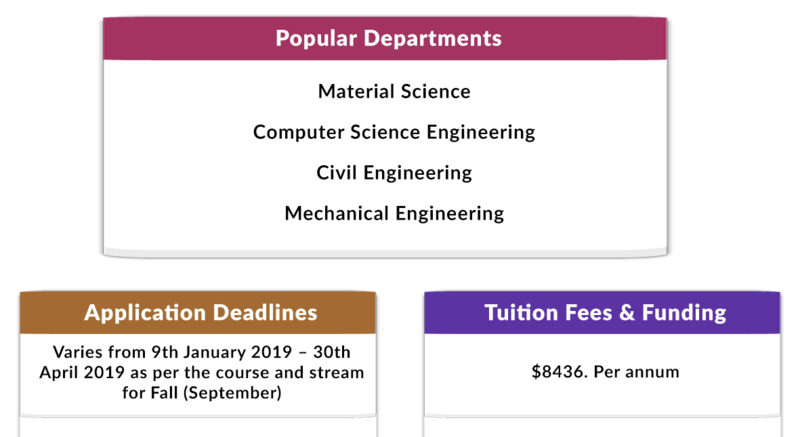 Let’s have a look at the top universities with their international ranks, requirements, deadlines and all that you need to know at a glance, to consider pursuing your MS at a Canadian university. 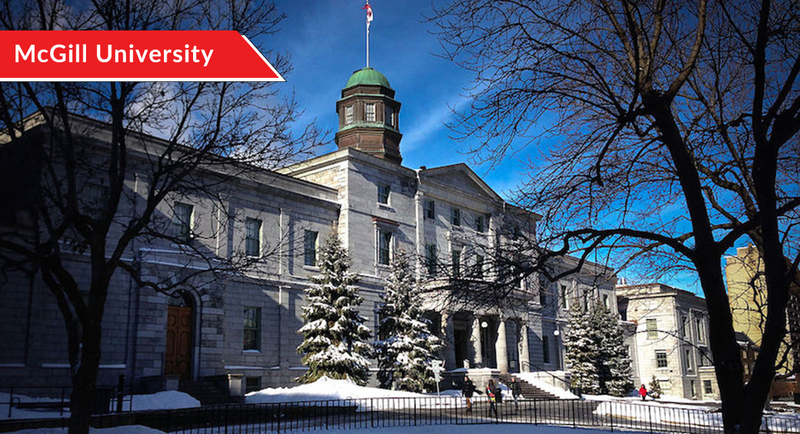 McGill is one of the most popular universities for pursuing MS in Canada, among international students. The students hailing from over 150 different countries have helped in boasting of the most diverse student body of any research-intensive university. This university has a high number of students who receive the Rhodes scholarship and has given rise to award-winning research, renowned world-over, with Ernest Rutherford winning the Nobel Prize for his study on the nature of radioactivity. 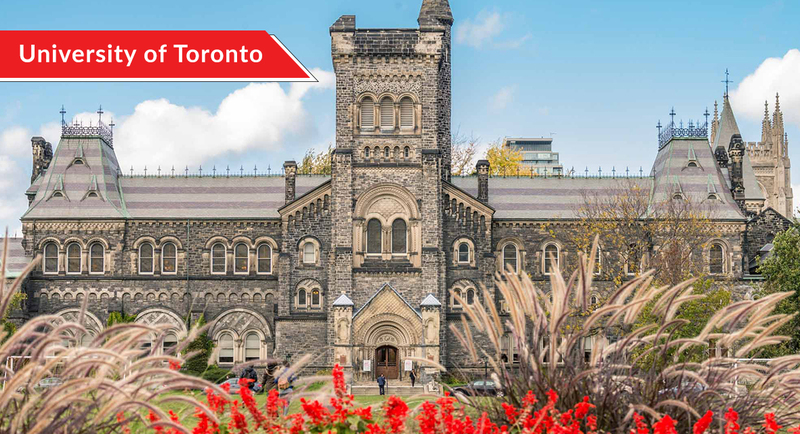 Another top-ranked university for MS in Canada, the University of Toronto has over 18% international students on its rolls. Spread over 3 campuses, it provides accommodation to all its students in both on campus and off-campus housing facilities, with each campus having a different approach towards work and life. It has incessantly upheld its position and ranking among the top 50 universities gaining accreditation from various platforms in the US and worldwide. In addition to this, Toronto is a very pluralistic city with residents from around the globe which adds to the experience of living and studying here. 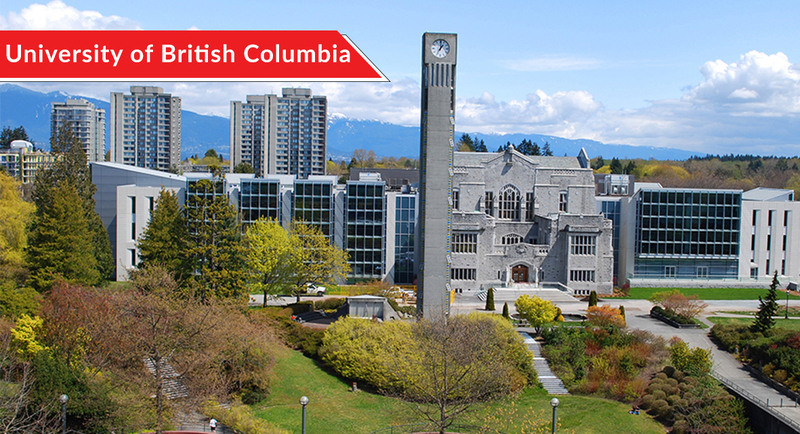 UBC is one of the oldest institutes providing higher education in the province of British Columbia, finding a place among the top 50 universities in the world. Very popular among the international students for MS in Canada. It is especially well known for its programmes in engineering. Situated in Vancouver, UCB is surrounded by picturesque landscapes. UCB provides accommodation to about 12,000 students depending on the availability of residence halls, also providing extensive healthcare services. Student societies ensure you have a ‘fun-filled’ life even outside the university classrooms – in fact, students at UCB is said to have one of the most ‘hip’ lives on campus. Talking about post-study employment opportunities, they run several portals to help find students jobs and provide employers with a suitable platform for recruiting students. 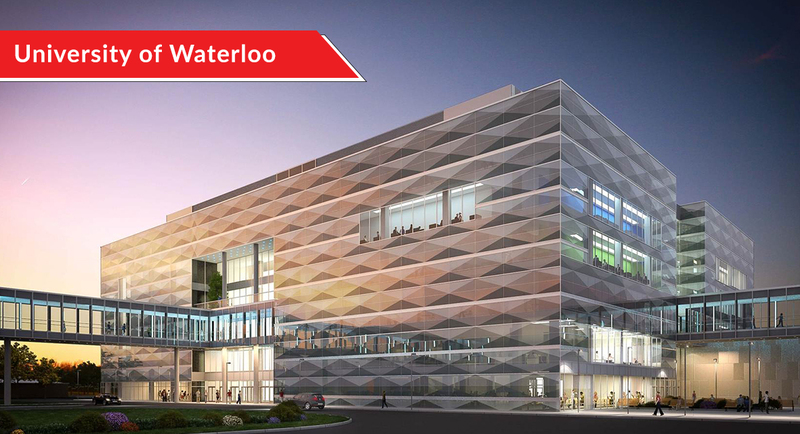 The University of Waterloo has very strong partnerships with prestigious employers and is best known for the same. It is believed to be a highly innovative university and has been given much credit for its comprehensive research programmes. The university also has a separate wing dedicated to catering the international students that hail from about 120 countries. It has a global partnership network that works in favour of teachers, students and researchers alike. Based in Ontario, the technological hub of Canada, it has much to offer in terms of learning and staying connected to the digital world – even outside the campus. Although an MS in the US is always the best scenario given the history, the variety of courses and the approach towards them, Canada doesn’t lag too far behind. The US has been in the game long enough to warrant the numero uno position when it comes to tertiary education and has a much stronger economy. There definitely is a reason why admissions in the US are tougher and the competition, extreme. Courses in Canada are less financially burdening as a lot of universities are government-funded and do not seek private funding. Private universities are often much more affordable too! The employment rates in Canada are good and it is much easier to obtain a work permit there. Moreover, Canada provides health benefits to its students. 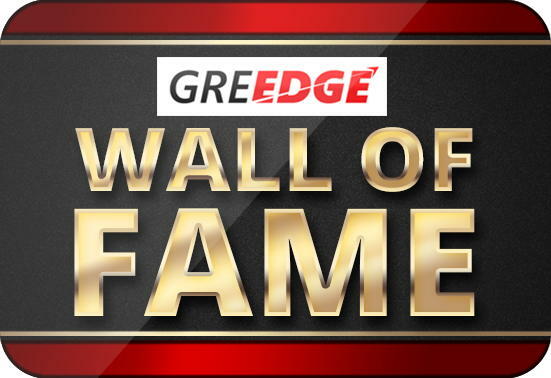 In many Canadian Universities, the GRE score is not a deal-breaker as it might be in other universities in the states, as a matter of fact, in some you may skip it altogether, even though it is recommended for students aspiring to pursue STEM courses to boost their chances of getting accepted. A knowledge-based economy which has established itself over a very long period and has stronger roots. Eventually, it’s a situational decision based on the major factors that are the primary driving force behind your decision to pursue an MS abroad – affordability, exam scores, career goals and the strength of your application, whether you are looking at graduate studies with the sole aim of gaining global exposure and PR opportunities (in which case Canada is a suitable choice) or for holistic learning, world-class research infrastructure, and career opportunities at some of the most well-recognised organizations in the world (for which universities in the USA still are still your best bets). We wish you the very best with your MS dreams and university applications, and we hope you leap where the wind is strongest – so you fly the highest. Have more doubts about Canadian universities, the best master’s programs to pursue, employment opportunities and the application process? Let us know in the comments and we’ll get back to you at the earliest! Good luck! Fall 2019: Who should you get an LOR from?